This Saturday starting at 10:00 am join us for some Easter Fun! We will have colorful eggs filled with candy, stickers & pencils, and other goodies hidden around the market! Grab a Scavenger Hunt List and learn more about the market. Don't miss out on unlimited wine, vodka, and tasty bites from our generous sponsors! Event sponsors include: Dry Farm Wines, Ranch Hand, Caveman Vodka, U.S. Wellness Meats, Grass Roots' Farmers Cooperative, Kion, Siete, Kevita, Omission Brewing Company, and Waterloo Sparkling Water. It's going to be an epic party, and we could not be more appreciative of the support from our community and the sponsors. Party with a Purpose will directly benefit us, the Farm-to-Consumer Legal Defense Fund (FTCLDF), so we can continue to protect access to real whole foods from small sustainable farms by providing free legal support to members, many of whom are small farmers, and serving as a voice for shoppers who want to access these foods. If you can't make it to Austin, show your support in spirit and DONATE now! 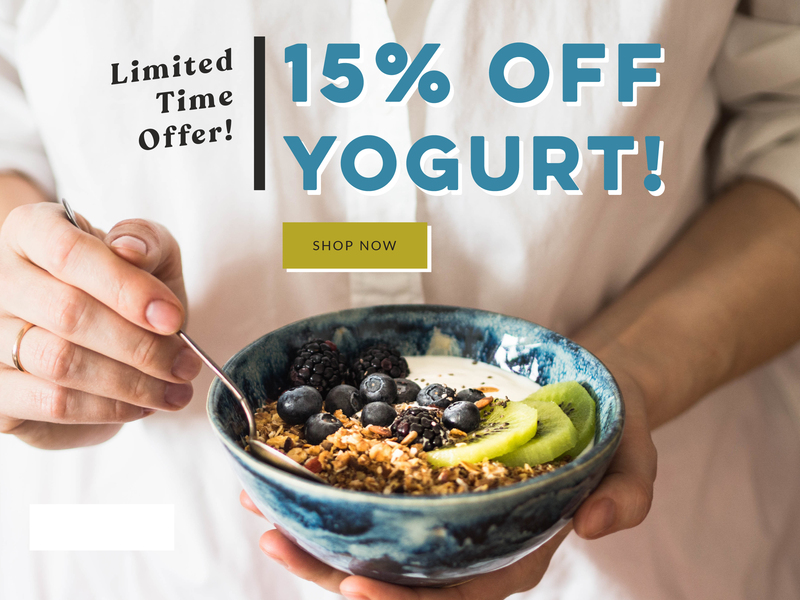 Make Yogurt at Home with 15% OFF Cultures & Supplies! For a limited time - save 15% on all yogurt starter cultures and supplies! A reusable heirloom-variety yogurt starter, Bulgarian yogurt is perhaps one of the most popular yogurt varieties in the world and produces a rich creamy homemade yogurt.